You are here: Home » Learn & Live the Faith » Catechesis » If You Don’t Agree with the Catholic Church, Why Teach the Faith? If You Don’t Agree with the Catholic Church, Why Teach the Faith? With the start of a new catechetical year catechists throughout the country, whether in parish programs or Catholic schools, prepare to faithfully impart the Catholic faith to our children. But is this too strong of an assumption regarding what is actually happening in our religious education programs? We need to honestly reflect on this question in order to properly discern what defines sound catechetical instruction and faithful Catholic teaching. G.K. Chesterton reminds us that the premise of sound religion is not to affirm our misunderstandings but, on the contrary, to correct them. In other words, we not only want religion to accept us where we are at, but primarily we want religion to move us where we are supposed to be. Hence Christ the Divine teacher calls us to not only be hearers but also doers of the Word (Lk 6:46-47). I clarify this question by mentioning that I am not referring whether they like or dislike their pastor’s homilies or the choice of colors used to paint the new narthex or the way the parish asks for money. It comes down to Church teaching and whether you honestly believe in it or not. Out of the over 60 catechists present that evening at least half raised their hands openly saying they had issues with Church teaching. When I mentioned specific Church teaching on contraception, homosexuality, cohabitation etc. their faces were priceless! Is it Ignorance, Misunderstanding or Defiance? The response I received should not surprise anyone. Though some may say this is to be expected or the number should have been greater or lower, we need to address where this supposed ignorance, misunderstanding or defiance comes from. Catechists are co-operators with Christ the Teacher. Their responsibility lies in creating a true Catholic environment for all. This Catholic ethos rests on Christ and His constant revelation intimately found in Sacred Scripture and the Catechism of the Catholic Church. One of the greatest challenges is helping an individual understand what his role is in life with respect to Christ. This is even more important when a particular person desires to teach the faith, but whose faith? My teaching is not from myself; it comes from the one who sent me. (Jn 7:16). After an initial awkward “I can’t believe he just asked us that question” look from those who raised their hands, I kindly but firmly laid out some of the negatives ramifications to this position on the children they will teach. Your personal views against Church teaching will inevitably seep into the classroom. The student will not receive the fullness of the Gospel and instead will receive a “catechesis of me” instead of a catechesis centered on Christ. You may end up chastising a student who disagrees with you on Church teaching even though the student may be right and you may be wrong. I can go on with this list, but you get the point. When these scenarios were presented many who raised their hands did not deny that this may happen. Those who did not raise their hands asked them “Why teach the faith?” These scenarios resonate with St. Paul’s exhortation to Timothy “to guard what has been entrusted to you” (2 Tim 3:16). The first and primary role of the Catechist is to be a primary witness of the Catholic faith to students. That faith must also be put into practice resulting in the catechist being an active model of Christian charity for all to see, especially the student being catechized. 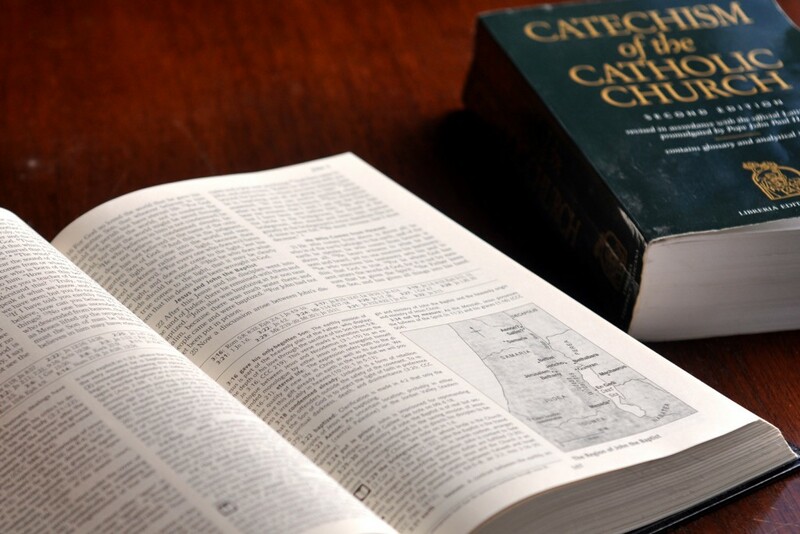 In the act of faith and works, a catechist exemplifies the model of catechesis as a systematic, organic presentation of the faith rooted firmly in the teachings of the Catholic Church and visibly expressed through participation in the sacraments, the commandments, beatitudes, and prayer. What Is the Role of the Catechist? Should we allow the catechists I mentioned who for whatever reason do not agree with everything the Church teaches teach children the Catholic faith? Two possible answers to this question might be: “Absolutely not”; or “not completely”. The reason for both possibilities is the need to discern and determine prior to their first catechetical instruction if their position is one of ignorance or misunderstanding (not completely). If this is the case then these misunderstandings about Church teaching can be clarified and hope reigns. However, if the catechist is adamant against a certain teaching of the Church then the catechist should receive an absolutely not response. Begin with an initial proclamation of the Gospel or missionary preaching through the kerygma (proclamation) to arouse faith. Use sound apologetics or an examination of the reasons for why we believe what we believe. Provide ample opportunities to celebrate the sacraments. Help the student become integrated onto the ecclesial community. Be Apostolic and missionary witness.” (18). G.K Chesterton told us that the world needs a religion that will move it not pamper it. If the primacy of teaching the faith is to move the soul towards Christ, then our ministry as catechists should be very clear with no reservations. Is It Really About Catholic Identity?